Trans Pond: How can you not love puffins? 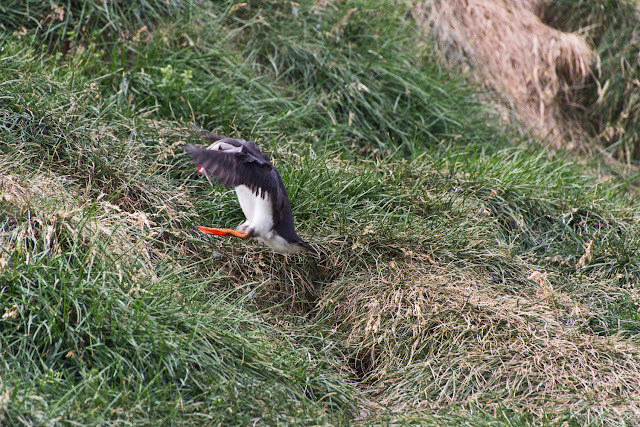 This puffin is coming home with food for the chick. 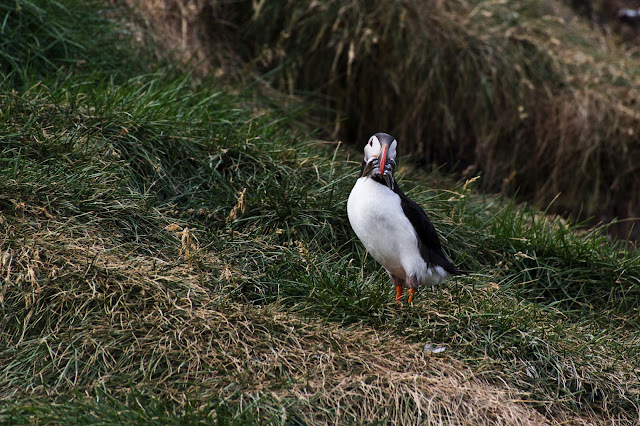 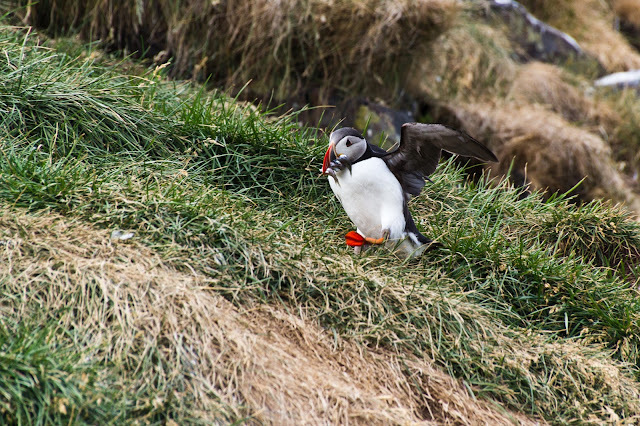 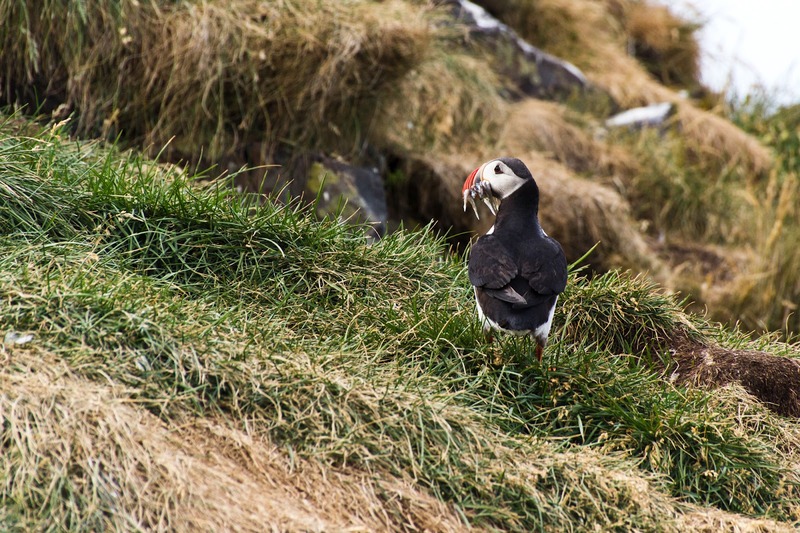 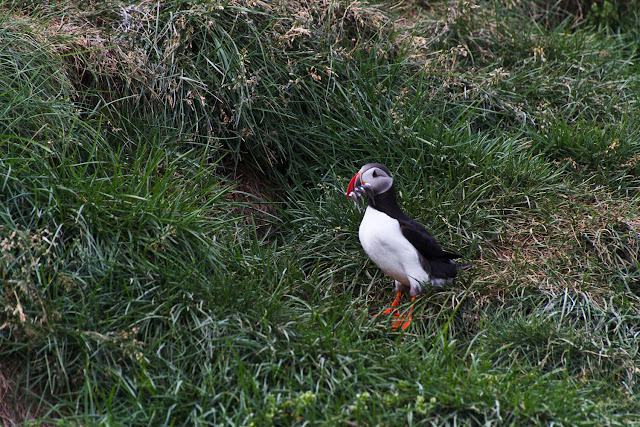 In Borgafjördur, Icelandic East Fjords, you can get really close to the puffins. Since we were near the end of the breeding season, a lot of the puffins were lounging out in the waters and not coming close anymore. 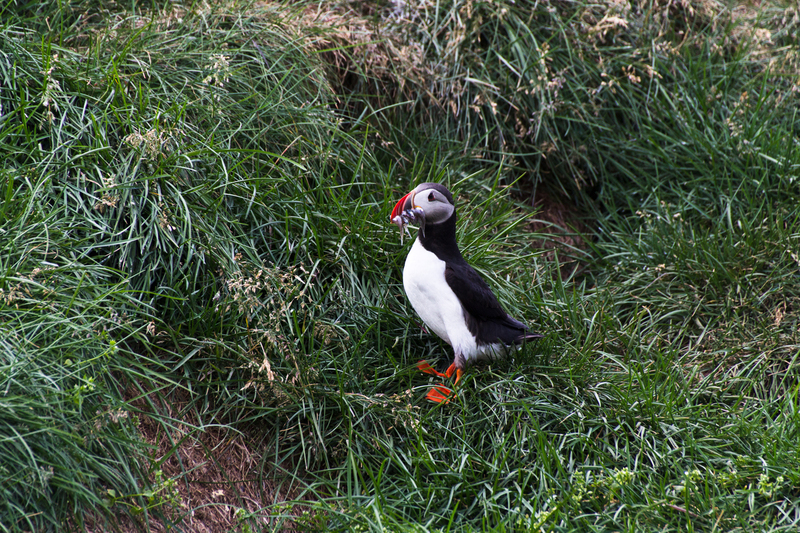 But patience pays off.